Also, Grab some awesome food from the cafe & a wine, beer or mixed drink from our full bar. 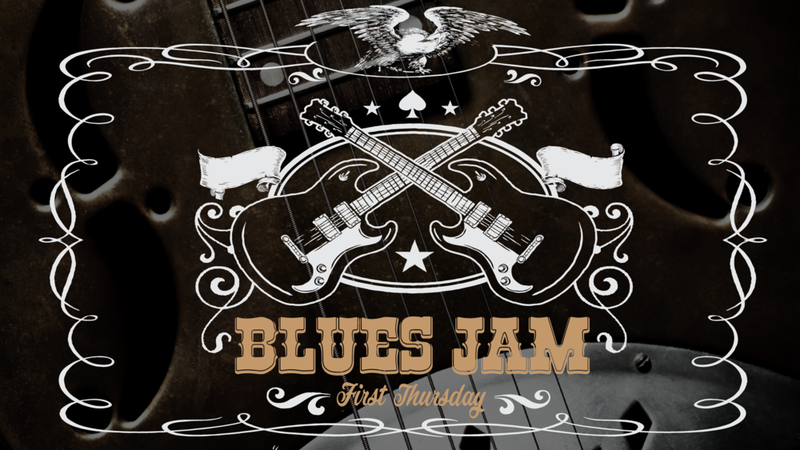 Grab your guitar & bring some friends for Blues Jam! This one is on Wednesday, but we usually have them on the first Thursday of every month!